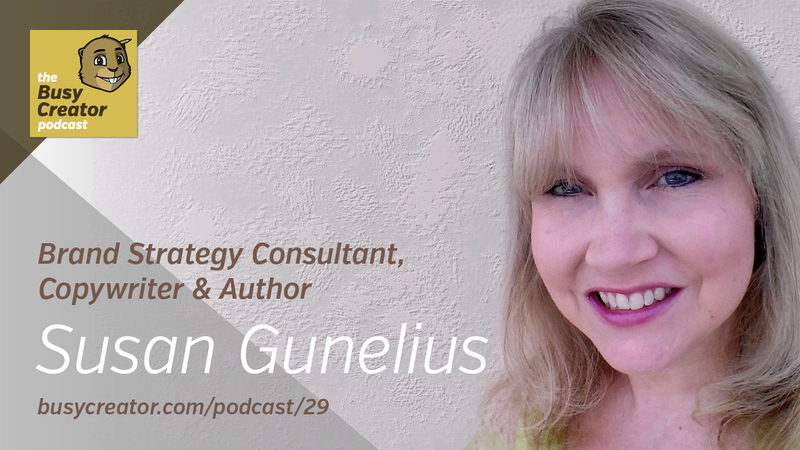 Susan Gunelius (@susangunelius) is a 20-year marketing veteran who has worked in corporate environments for some of the largest companies in the world. Today, she’s on the agency side as President & CEO of Keysplash Creative, which offers brand strategy consulting along with writing and all marketing communication services. In addition, Susan has written 10 books not only on marketing, branding social media, and technology, but also on subjects like the marketing of Harry Potter. She now contributes her marketing expertise to sites like Forbes and is the Founder and Editor-in-Chief of Women On Business, an award-winning blog. Our conversation moves from working with clients to managing an agency of one and the habits required to author a book. Talking animals in advertising. Why. Local business advertising. Oh boy. To get clients to be honest about their brand/company 1.) play Devil’s Advocate; or 2.) circumvent the main question and ask unrelated questions.